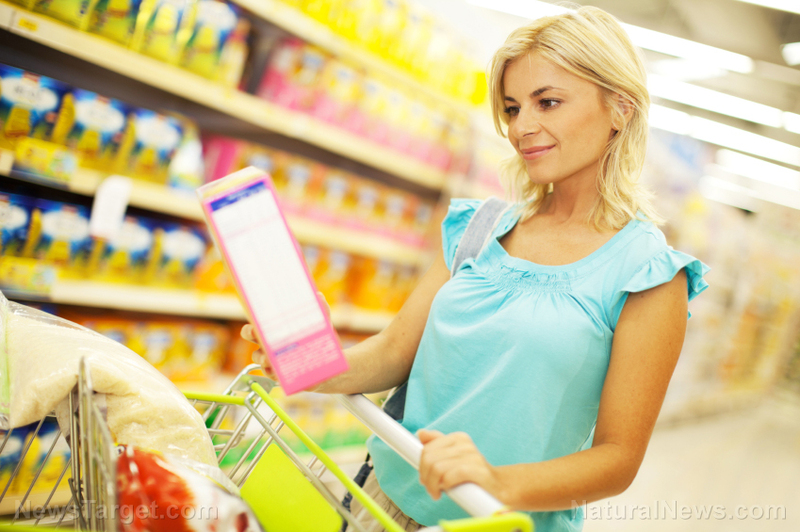 (Natural News) If you’ve ever looked at food packaging, you may have seen “xanthan gum” or “guar gum” listed as an ingredient. The latter half of their names should clue you in on what these unusually-named ingredients are: they’re gum additives, or substances commonly used by food manufacturers to enhance their products. Gum additives are typically utilized to extend shelf life, add texture, increase viscosity, and stabilize the pH levels of foods. There are many varieties of gum additives out there, but all of them are known to influence our gut bacteria — sometimes in negative ways. Xanthan gum – A common emulsifier and thickener that takes its name from Xanthomas campestris, the strain of bacteria used in the fermentation process of this food additive. Xanthan gum can be made using corn, wheat, or soy, a fact that not all food manufacturers are open about. Individuals with allergies to any of the previously mentioned foods should therefore avoid xanthan gum as much as possible. Xanthan gum has also been known to cause serious gastrointestinal issues like bloating and diarrhea. On top of that, xanthan gum has been linked to illness and even death in infants. Guar gum – This type of gum additive is derived from the guar bean, a legume grown primarily in Pakistan and India. Guar gum is notable as a thickening and emulsifying agent that can withstand heat, and freeze and thaw cycles. It’s been used in ice creams and coconut milks, and has become a popular gum additive in gluten-free foods. However, even a small amount of guar gum can cause abdominal discomfort and excessive gas. Gellan gum – Similar to xanthan gum, gellan gum is produced via bacterial fermentation (from the Sphingomonas elodea bacteria, to be exact). Gellan gum is used as a stabilizer, emulsifier, and thickener in foods and personal care products. No adverse effects on humans have been reported so far, but a rat study found that frequent consumption of gellan gum can lead to abnormal intestinal microvilli. Locust bean gum – Also known as carob gum, locust bean gum is a vegetable gum additive extracted from carob tree seeds. The sweet, chocolate-like taste of locust bean gum has made it a common sweetener and chocolate substitute. Unlike xanthan gum, infants can tolerate formulas thickened with locust bean gum, even if they suffer from reflux. Tara gum – A relatively new gum additive made from the Peruvian Caesalpinia spinosa shrub. The plant that tara gum is made from is known to possess a high amount of tannins. Tara gum itself is similar in function to gellan gum, but with the advantage of being tasteless and odorless. This gum additive is regarded as the least offensive one so far in terms of how it affects gut flora. However, it is often used with xanthan gum, which sensitive individuals definitely need to be vigilant about. Almost all of these gum additives can be safely consumed in small amounts, with tara gum having the best safety record so far. Still, gum additives are food additives, and these can be damaging to your health in the long run. It’s best to minimize the ingestion of foods with gum additives, regardless of whether or not you frequently suffer from gastrointestinal problems. If you have access to fresh foods that haven’t undergone processing of any kind, then choose these instead. Visit FoodSupply.news to remain up to date on what goes into your food and become an informed consumer.